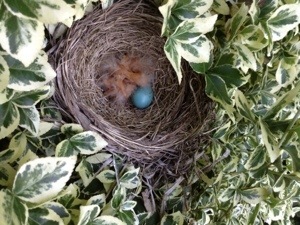 For those paying attention it has now been nine days since the Robins eggs on our front deck have hatched. The eyes have opened, they have found their voices, pin feathers are turning to full fledged feathers. 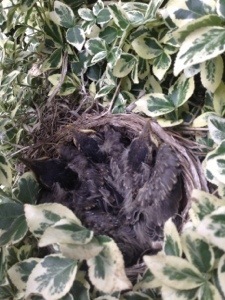 I imagine it won’t be long till we come home to an empty nest. 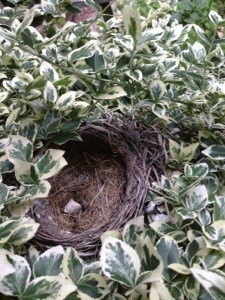 When I first saw the nest I didn’t think they had a chance being where it is. look where we are now.